Vitamin B12 is a water soluble vitamin that is excreted through urine when you consume too much. You may experience change in urine color while your body works to excrete excess B12, which may be normal and can reverse itself. In some cases, off-colored urine or odd odors may be related to an underlying medical condition, so you should check with your physician if you notice any changes. Vitamin B12 is one of the most complex and unique types of vitamins. First of all, it is the only one of the water-soluble vitamins that is stored in your body. Your liver keeps small amounts of this nutrient on hand for years. Second, it is the only vitamin that pairs with a mineral, cobalt, to function. In its paired form, B12 is called a cobalamin, of which methylcobalamin and 5-deoxyadenosyl cobalamin are the two types used by humans, the Linus Pauling Institute explains. You need vitamin B12 for a variety of biochemical reactions including DNA and RNA synthesis, new red blood cell production and normal neurological functioning. Depending on your hydration status, normal urine color can range from a light yellow to an amber color. Consuming large quantities of foods rich in B12 can cause your urine to become a bright green color. 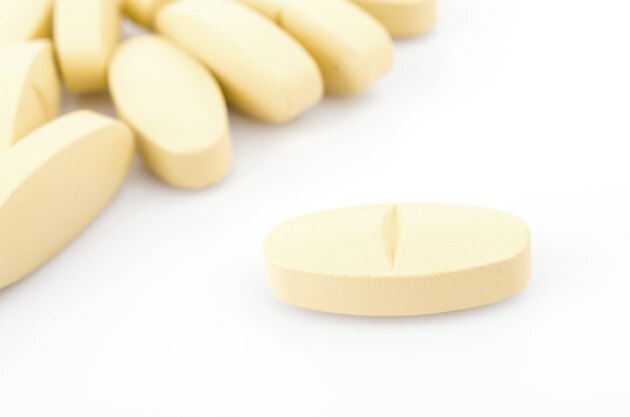 Additionally, taking a B12 supplement, vitamin B complex or multivitamin containing vitamin B12 may cause your urine to turn dark yellow or orange. This stems from the yellow coloring in the over-the-counter supplement that your body excretes. You only need a small amount of B12 each day: 2.4 mcg. It is generally safe at large doses, since you excrete whatever you do not absorb; therefore no tolerable upper limits have been set for this vitamin. Part of the low toxicity risk of B12 stems from your body only being able to absorb tiny amounts at once. While it does have a low risk for toxicity, you should inform your physician if you decide to take a B12 supplement to ensure it doesn't have any adverse effects. While it may be normal for your urine to change colors after ingesting B12, some factors may warrant a visit to your doctor. If your urine is cloudy or hard to see through, it could be a sign of some type of infection, such as a bladder or urinary tract infection. Urinating should not be painful, so if you notice pain along with off-colored urine, let your healthcare provider know. Keep track of how often you experience discolored urine to help you track if it is related to your B12 consumption.